Santa Claus is on his way to make 2018 Christmas deliveries. Have you gotten into the spirit of Christmas? If not, it's time for you to do something, for example, set a Christmas ringtone for your mobile phone. Thus, every time your phone rings, you will feel the Xmas joyful spirit. So, what are the most popular Christmas ringtones? Where can we download free Christmas music ringtones for iPhone, Android, Windows Phone or others? 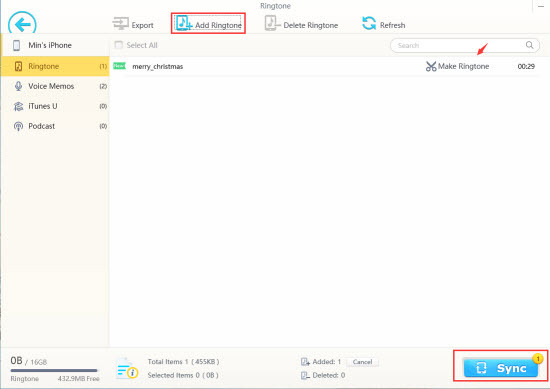 How to transfer downloaded Christmas ringtones from computer to iPhone? Can we set MP3 Christmas ringtones for iPhone? Let's dig out the answers in the following parts. After downloading Christmas ringtones into computer, you can use WinX MediaTrans trial version to free transfer 30 tones in any audio format to iPhone ringtones list every day. It converts incompatible Xmas ringtone format like MP3 to M4R iPhone ringtone format automatically. Besides, it permits you to remove unwanted part. This list includes funny and beautiful classic Christmas ringtones of all time. Almost all of them have a number of recording versions. 1. Silent Night: It is a classic Christmas carol, released in 1818 and recorded by many singers, for example Bing Crosby and Elvis Presley. 2. Santa Claus Is Coming to Town: This Xmas song ringtone was first performed on Eddie Cantor's radio show in November 1934. Then, it became a hit instantly, 100K copies of sheet music and over 30K records sold within a day only. 3. Jingle Bell Rock: American people must be very familiar with this melody. Every Christmas, it appears in every corner of United States. This Christmas tune was first issued by Bobby Helms in 1957. 4. Let It Snow! Let It Snow! Let It Snow! : This Christmas music was born in 1945. Like other Xmas songs, it became a hit quickly and has been recorded for a number of times. 5. Joy to the World: It was first published in 1719, and became the most-published Christmas hymn in North America since late 20th century. Where Can We Download Christmas Ringtones for Free? 1. http://www.zedge.net/: Zedge is a famous site which offers free ringtones, free wallpapers and free themes. Searching for Christmas in Ringtones category, you'll receive thousands of results. You will see category, tags, file size, and downloads of each Christmas ringtone. Before downloading, you can hit the play button to preview it before any further. 2. https://notificationsounds.com: This site is specially designed to deliver free ringtones, alerts and other sounds for mobile phones. Navigate to Categories, and then you'll see one named Christmas Ringtones. 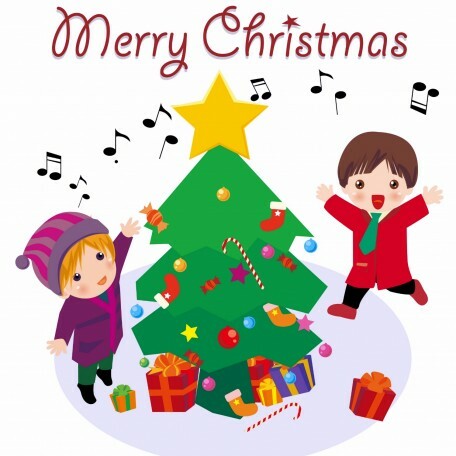 Many popular Christmas songs ringtones are included. Besides MP3, it also allows you to download M4R and OGG Christmas (SMS, notification) ringtones. 3. http://tones.mob.org/: This site groups all ringtones by genre and tags. To free download Christmas ringtones, you can google "christmas site:http://tones.mob.org/", and then you'll find a page with plenty of free Christmas MP3 ringtones. Moreover, you'll see download times of each song. Move mouse over target ringtone, then a green Download button shows up. Just hit it, and then the Xmas tone will be downloaded immediately. If you can't find your desired Christmas ringtones from such kind of sites, you can also search for them from YouTube and the like, and get it downloaded with WinX Free YouTube Downloader. After finishing Xmas ringtones free download, how can we transfer them to our cell phones? This is not a problem for Android, Windows phone, Blackberry and other phones users. But to get Christmas ringtones saved in iPhone, we need to make use of certain third-party program like WinX MediaTrans. WinX MediaTrans is an easy-to-use iPhone file manager, integrated with the feature of managing iPhone ringtones. It allows users to transfer ringtones from computer to iPhone, be the ringtone format is accepted by iPhone or not. This is because this tool can recognize various audio formats and is able to automatically convert incompatible ringtone format (say, MP3, OGG) to M4R which is the only iPhone ringtone format. In addition, it empowers you to trim off unwanted part by dragging the timelines. Conversely, it gives users the freedom to get customized ringtones off iPhone to computer. 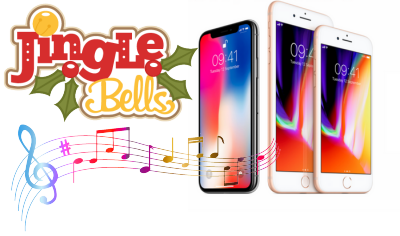 How to transfer free downloaded Christmas ringtones to iPhone? To begin with, download and install WinX MediaTrans or its Mac version to computer. Free trial version lets users to transfer 30 ringtones from computer to iPhone within a day at no cost. Then, follow the guide below. Step 1. Launch this tool, and connect your iPhone with computer via a USB cable. In addition, turn off iTunes auto sync in case of data loss. Step 2. From the main UI, hit "Voice & Ringtone" module to get into a new window. Step 3. Click "Add Ringtone" in the top bar, browse and open the Christmas ringtone you just downloaded. Then, you will see it appear in the file list. Careful if you're, you will notice that there's an option named "Make Ringtone" which allows you to trim off certain parts based on your own needs. Step 4. Tap "Sync" at the bottom right, then the original file will be converted to M4R if it is in a different format, and transferred to the ringtones list of iPhone. Once complete, you can select the Christmas ringtone for your iPhone right now.